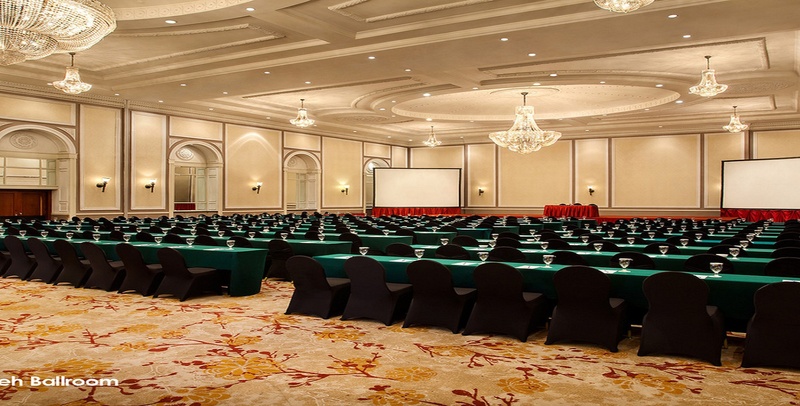 The meeting rooms at the Menara Peninsula Hotel Jakarta are a great choice for social and corporate events in Jakarta. An incomparable selection of 20 very flexible meeting and function rooms supported by state-of-the-art technology and equipment, making them ideal for both social and business meetings, conferences, product presentations, exhibitions or congresses. Our largest function room has an impressive ceiling height of 7 metres for majestic wedding decorations and can accommodate up to 1200 guests in a single event. Every event at our 4-star hotel in the Jakarta business district enjoys the meticulous planning of our highly-experienced team of event organizers, including attractive personalized menus prepared by our food and beverage specialists. Book your event now at our official website of Menara Peninsula Hotel Jakarta.